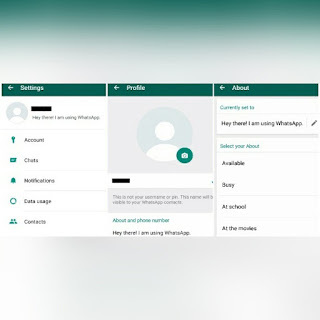 WhatsApp has been one of the top fascinating social media app that almost all intend to use when chatting with friends and family. Its users are committed to the platform because of its simplicity, and as such, the developers (Mark Zuckerberg and official workers) tends to add more beautiful features so as to keep their users engaged. The previous update that was updated last month, which was talking about "Video status" that works like story on Instagram and Snapchat, wasn’t that friendly to most users on different platforms like (whatsapp web, APK android, iphone, whatsapp desktop mac, messenger etc) as many complained about it not working the way they thought it would work when it was spreading as a news. Also, as most people are complaining about the new feature concerning the video status, that made whatsapp not to be simplified again as people thinks, so are others asking why they removed contact tab and text status that gives them the service they enjoy while chatting on whatsapp social media. Due to such complaints from users, Whatsapp now decided to bring back the contact tab and that of the text status to their latest update made on whatapp for all platforms. So, as it stands now, the Text status feature which was previously removed, is now currently available for beta users only, and to have it, it functions the normal way it used to work before. For those complaining about the simplicity of this social media being removed, the adding of text status doesn’t change the video status feature, as what was in place previously, still remains the same. So for now the old feature has been added to the new update. And it is only available for beta testers. So should in case yours has not been updated, just wait as it will get to you soon. Help others know about the update so as to stop them from complaining about what has been added currently. You can do that by using the share buttons below, either for Facebook, twitter etc.